Are we really heading for another decade of the Dubs? The Boys in Blue continue to break records and it seems more are set to tumble as they pull further from football's chasing pack. One of the GAA's greatest success stories has also become one of the Association's greatest causes for concern. Back in the mid-nineties there was an awareness that football and hurling in the capital were struggling, with participation levels far below those of other counties. There was a feeling that for the GAA to be strong nationwide, GAA needed to be strong in Dublin. A long-term project was devised, money was diverted towards the city, resources were made available and structures put in place. It was a slow burner, but what eventually followed has been a period of sustained success like no other team has enjoyed before. Dublin's senior footballers became the first county to win Sam Maguire six times in a single decade and the smart money is on them extending that to seven with an unprecedented five in-a-row in 12 months' time. 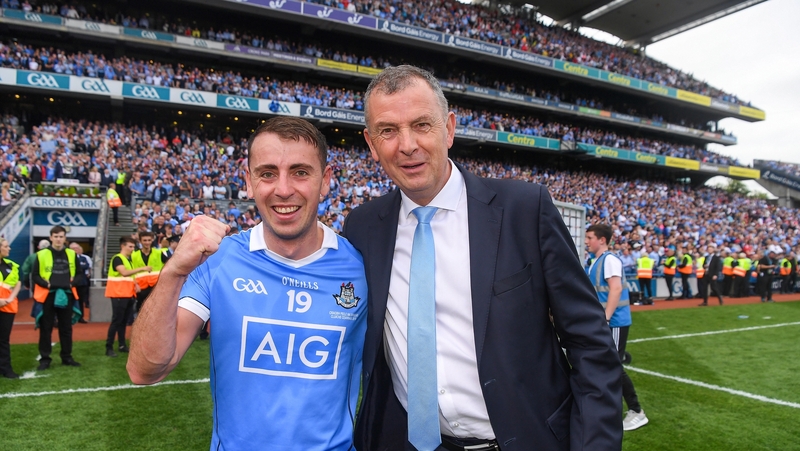 Cash, and plenty of it, was made available to Dublin over the past 20 years and more and it was extremely well spent on the ground, particularly on coaches with dozens of clubs having their own full-time Games Promotion Officers (GPOs). But this isn't a simple matter of money. The right personnel were either in place, such as Dublin GAA CEO John Costello and Ger O'Connor, who was the long-serving head of coaching, or put in place, like Tomás Quinn as commercial manager. And if it was all about the green stuff, Dublin's hurlers would be knocking off All-Irelands by now too, but they're not. And they're not particularly close either. It can be argued too that their senior footballers are enjoying a once-in-a-generation group of players under a once-in-a-lifetime manager. Clubs, who have to pay half of their full-time GPO's €36,000 salary, with the rest coming from the GAA, have to fund-raise tirelessly and ensure that they were getting value for money and up their game in terms of recruitment and retention. In football at least, Dublin are finally making the most of the advantages they always enjoyed in terms of population and economics. Success breeds success and this became a virtuous circle - a winning team attracts more money, in terms of sponsorship in the form of record breaking deals first with Vodafone and then AIG, and a winning team fuels recruitment and fires ambition among young players. The result has been the decimation of Leinster at senior and Under-21 levels in this decade. The Boys in Blue have won every senior title since 2011 and they've won 13 of the last 14 once you take 2010's blip out of the equation, when they were hammered by Meath. The Under-21s, a competition that was changed to Under-20 this year, have won six of the last nine. Their conversion rate from provincial to All-Ireland titles at both levels has been impressive too. They aren't dominating Leinster at minor in the same way, interestingly, with four provincial titles and one All-Ireland this decade, though there were minor, Under-21 and senior clean-sweeps in 2012, '14 and '17. As long as the GAA persist with the county model, and there are no signs that they are about to change tack now, there will never be a level playing field. Leitrim can never compete consistently with Dublin and that's simply down to the economies of scale. Counties with large populations, such as Cork, tradition, think Meath, well-oiled fundraising, Kerry and Tyrone being examples, employment opportunities to keep their players near to home, Kildare, and a near-by third level institution with a sports programme which they can link up with, Waterford, all have inherent advantages over the rest of the chasing pack when it comes to challenging Dublin, which already enjoys all of those benefits. But are Croke Park ensuring that every county, and every player, has the chance to fulfil their potential? The answer has to be no. Last year Dublin received around €1.3m from the GAA for coaching and games development, around five times the total of the next county, which was Meath. If that level of investment is sustained, the equation is going to become even more lopsided. 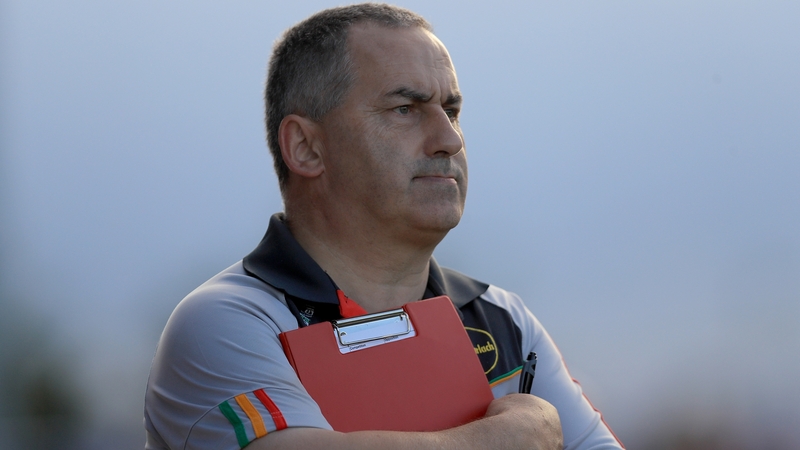 Carlow manager Turlough O'Brien, a forward-thinking man and someone who looks for solutions rather than problems, has some interesting thoughts on the problem. "Are the structures good enough, are they fair enough?" he asked. "Realistically, if you're looking to level the playing field they would revert to a knock-out championship, prioritise the League and play them concurrently. If Dublin were to be shocked one year, knocked out early, it would give everyone a lift, and if it happened two years it would really slow Dublin's momentum. "That's radical, but something radical is required. "There are very few counties can sustain such a lengthy season and their clubs can't sustain the absence of their players over that same period. There needs to be a recalibration. "It's about personnel, and not just players. It's about coaches, the standard of coaches, administrators, the standard of administrators and so on." O'Brien's point about structures and administrators is a good one. Dublin was primed and ready when the money tap was turned on. Even if it was turned off tomorrow, they wouldn't be in bad shape as commercial and sponsorship revenue moves them towards a self-sustaining model. Other counties, given bottomless resources, would still find a way to fail. This is one of the weaknesses of the GAA's model, which sees voluntary officials, some of them woefully under-qualified and others merely using the GAA as a stepping stone towards something else, such as a career in politics, given enormous responsibility. Vision and capability aren't a guarantee. Leinster Council GAA, which was instrumental in helping create Dublin's success, have finally started to take action to redress the balance financially. Ultimately though, Dublin look set to dominate at senior level for a few more years at least - and that's an optimistic note for their rivals. 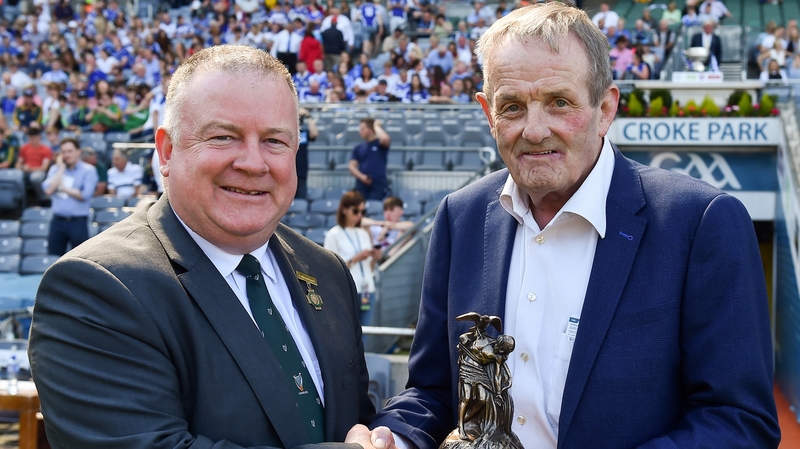 "There are some efforts being made in this regard and (GAA President) John Horan has spoken about the need for equalisation," said Leinster chair Jim Bolger. "We have to be mindful because we don't want to undermine what Dublin have achieved, but we do need fairness and equality so it's something we have to look at." The East Coast Project covers Louth, Meath, Kildare, Wicklow and Wexford, which will see an investment of €1.5m over three years in coaching, €200,000 of that annually being cut from Dublin's budget and diverted. If this is a success it may be rolled out to other counties. Before that there is the TURAS initiative, which aims to educate and up-skill as many as 5,000 coaches in the province while cross-county leagues at underage and adult level are aimed at exposing players, particularly those from smaller counties, to new and a higher standard of opposition. These are noble ventures, of course, but all of this is a long-term punt. Is there any danger of Dublin's senior footballers being beaten any time soon? Not likely. Writing in his Irish Times column, he said: "Being honest, it is easier to imagine Dublin as champions for the next three summers – at least – than it is to put forward a plausible argument as to what other teams will not only match them for athleticism and power but overtake them on the scoreboard. They have left the field far, far behind." Though they look pretty close to it, Dublin aren't invincible. Teams have gone toe-to-toe with them in recent years and taken them to some pretty dark places. Kerry got to within two points in 2016, the same year Mayo drew with them and in 2017 the Green Above the Red might even have beaten them had Donal Vaughan not got himself sent off in the second half of the final. There are ways and means of beating them, as Conor McManus knows. He was on the Monaghan team that beat them in the League in Croke Park - their only competitive reverse all season. "You can't sit off Dublin and continue to let them come on to you and come after you," he said, speaking to RTÉ Sport. "You have to try to attack them and put them on the back foot and not let them dictate the terms. "You have to try to upset Dublin's rhythm and how they play because in more games than not they dictate how games have gone. Not many teams have upset that over the past few years." Carlow's O'Brien agrees and he says many counties are beaten long before throw-in when they know they're facing that sky blue jersey. Even the competition structures are in their favour thanks to the introduction of the Super 8s. The round they used stumble most often before their recent spell of dominance was the last eight, but the chance for an ambush is gone there and this year effectively they faced just two knock-out games per season - the semi-final and final.